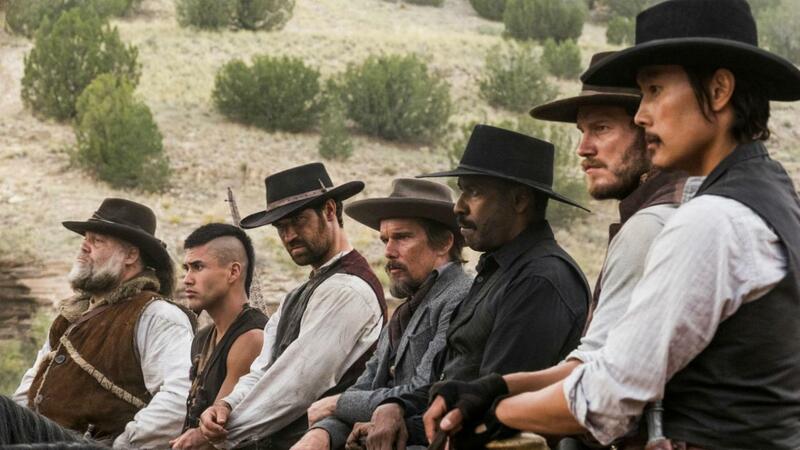 Sony's "Magnificent Seven" remake is going to be a blast, in one way or another. The first full trailer for the action flick, starring Denzel Washington as the lead cowboy who recruits six other gunslingers to help him fight for justice, features lots of bullets flying through the air, as well as an explosion rocking the army they're facing in the Western. "I've always wanted to blow something up," Chris Pratt's heroic character says in the preview. Antoine Fuqua ("Training Day") directed the ensemble Western co-starring Ethan Hawke, Vincent D'Onofrio, Byung-Hun Lee, Manuel Garcia-Rulfo and Martin Sensmeier as the rest of the "Seven" warriors facing off against a villain played by Peter Sarsgaard. "Magnificent Seven" shoots into theaters on Sept. 23. Check out more from one of the stars, Chris Pratt, in the gallery below! Anna Faris and Chris Pratt visit Pelican Hill Resort on August 8, 2010 in Newport Beach, California.